Speak to any successful leader in their field and you’ll learn very quickly that it’s important to develop great communication skills. “Communication is the most important skill any leader can possess” says Richard Branson in a blog on the subject. But it isn’t just important at the top of the career leader. Good communication skills helps people get there. Accenture CEO Julia Sweets told CNBC that “people underrate the importance of investing in your communication skills as a way to progress in your career”. Yet whilst you’ll hear plenty of people talk about what you should do when it comes to this important area, you hear a lot less about how to develop great communication skills. How often have you heard an expert say “you need to make your copy compelling” but then move on to the next subject without saying how? Or “you need to connect with your audience better” without any suggestions on how that can be done. In this short blog I’d like to devote the majority of the time with some suggestions on the how. I’m hoping this might give you some thought about how you can develop your communication skills further so you can use them more effectively in your world of work and play. Here’s a quick question to ask yourself. Do you think you can become an amazing communicator in your field or world? A majority of people will say they’re already a great communicator or that they can’t be great. Why? Because they think a person is either born or not born with the gift of communication and there is nothing that they can do about it. This thinking trickles down to specific areas of communicating a message such as writing a business document or marketing copy, speaking to camera or in front a crowd, or simply motivating a team of employees. You might find someone who is great speaking to a crowd but who doesn’t believe they have the “gift” of articulating their message on paper. Little do they know that communication is learnable. As Brian Tracy says “Communication is a skill that you can learn. It’s like riding a bicycle or typing. If you’re willing to work at it, you can rapidly improve the quality of every part of your life. The idea that you can learn to be a great communicator is backed up by science. Read Stanford psychologist Dr Carol Dweck’s book on Mindset and you’ll discover just how learnable skills like communication can be …providing you have the right mindset. Here’s a thought when you next see someone who you think is a great communicator. Was there a time when they weren’t great? Of course – but most of us focus on the great examples once these people were masters of their craft. Not the early stages when they learning. It’s a bit like viewing a musical great. We all knew how great Stefan Grappeli was as a jazz violinist in the Paris Hot Club. But can you seriously not imagine I time when he wasn’t as good as history records him, a time when he put in a lot of effort to become a great musician? 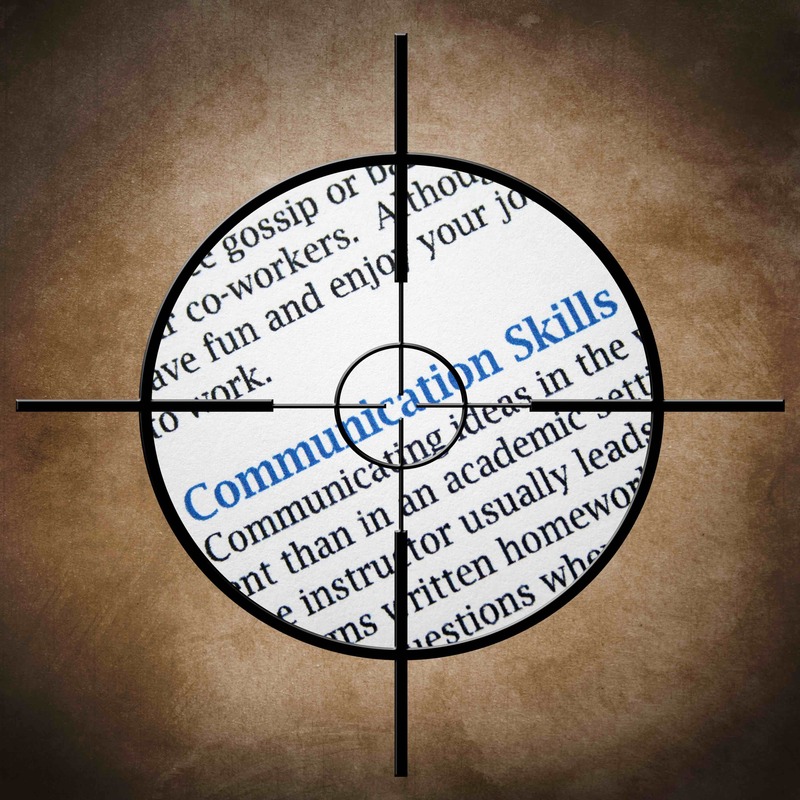 The main take away here is that if you want to develop great communication skills …you can! As with anything, it requires work and a process of becoming better at your craft. The only problem with this is that you will hit obstacles… which is why it’s important for you to work on what I call your communicator’s mindset. Mindset can mean a lot of things to different people. It could be the “growth” versus “fixed” mindset idea of Carol Dweck’s. Or a philosophy of life such as “wealth mindset” or way of seeing the world “cold war mindset”. I’m going to mix it all up by describing what I call the communicator’s mindset. It is a way for seeing the world from the eyes of a great communicator. But it incorporates ideas of growth versus fixed mindset, attitudes, qualities and other elements. Ultimately it’s about the “inner game” – whatever is going on inside your head that influences your growth as a communicator and the process of communicating. Here are some aspects of the mindset that you should start developing if you haven’t got them already. Incorporating these views, qualities and attitudes into your communicator’s mindset will help you overcome all sorts of barriers that typically prevent people from becoming a great communicator. It will fuel your growth as a communicator. But having the right mindset is not enough in itself to develop great communication skills. You also need to understand how communication works. Communication is all about results. People use communication in a professional context as a tool to get results. Typically it’s to get someone or a group of people to think, feel or do what the communicator wants them to do. The “success” we often talk about in the communication game is really about how well we’ve achieved our purpose of getting our target audience to think, feel or do. But how can you really use communication to get those results? Start observing the different elements going on or different levels in a communication ort interaction. This applies to someone reading or watching content that you’ve created or simply interacting with you on the fly. There are a number of important elements in play that will influence the outcome, depending on how you use those. One example is audience. Any communication or interaction involves an audience or there’s nothing happening. If you take time to understand that audience and then use that understanding to influence the way you communicate with them… then you’re in control of an key influencer in the communication process. Sadly most people don’t give their audience a second thought. And so fail to use a key influencer in the process of communicating to improve their result. What you should do is to work out what you consider are the key influencers. Then watch how they play out in different communication and interactions. What can you learn from what works and doesn’t? This process will help you grow in awareness and give you some good guidance on how to improve your own communication skills. I’ve identified seven key influencers, which I cover in my book and courses, which I won’t go into here. But if you’re serious about learning to become a great communicator, there’s nothing stopping you from looking out for what you think are some important influencers. You’ll get to understand how successful communication works and have some ideas for how to practice it well yourself. But understanding how good communication works is not enough… You also need to have a systematic process that can help you efficiently churn out successful comms with confidence. Business systems are all the rage at the moment. From business franchises all the way down to marketing systems, project management systems, change management systems and so on. But they are all the rage fora good reason. They work. Having a good, proven system creates confidence in results. It also creates consistency so that many people can be involves in a single mission. It also creates efficiencies and avoids waste. Having a proven, results driven system for how you communicate is going to push your communication skills to a new level. You’ll enjoy the confidence of consistent outputs, and you’ll be forced to grow in your craft as a result. Each time you follow the system, you’ll get faster at it and wiser. That’s why I developed the Bullseye! communication method. I wanted a systematic approach to creating successful comms that I could rely on each time. I wanted something simple that would work just as easily in an organisational context as in a marketing or entrepreneurial context. 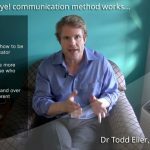 Initially I used it when consulting with clients and later to train and coach professionals and entrepreneurs who wanted to improve their communication skills. My goal was to make it easy for them to communicate effectively whilst saving time. The results were great. Later, the method was studied and university validated so that now it is not just used for people in business, but professors in academia! The lesson from this was that having a systematic – and now scientific – approach to communication does work. So let me finish with some thoughts about HOW you can actively develop your communication skills.